Welcome to the Admissions Department of Albertus Magnus High School. 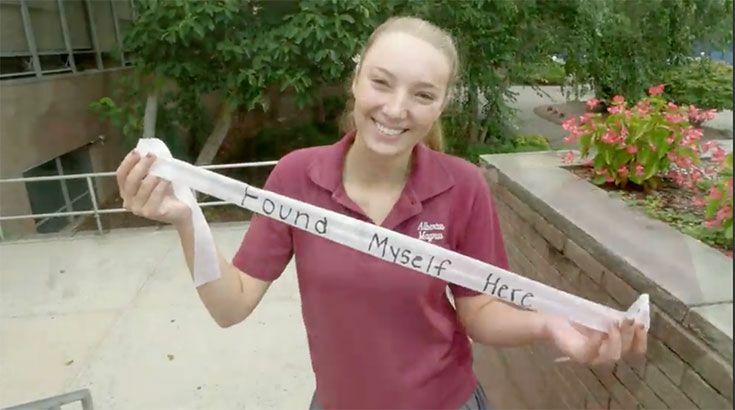 Albertus Magnus High School is a faith-filled community of learners. Our mission is to provide students with an education rooted in the life of Christ, and to foster the pursuit of excellence in the whole person. Explore the opportunities and experience the scholarship, service and spirit that defines our school. Selecting a high school can be intimidating for prospective students and parents. Our student ambassadors, faculty, coaches and moderators are available to help you decide if Albertus Magnus should be your "home away from home" for the next four years. Preparing students for college/university education is our primary goal. By offering an outstanding college preparatory academic program, an active campus ministry program which embraces the spirit of the Dominican tradition, along with competitive sports, a renowned performing arts program, and a widevariety of extra curricular activities, our students are well prepared for life at the college level and beyond. 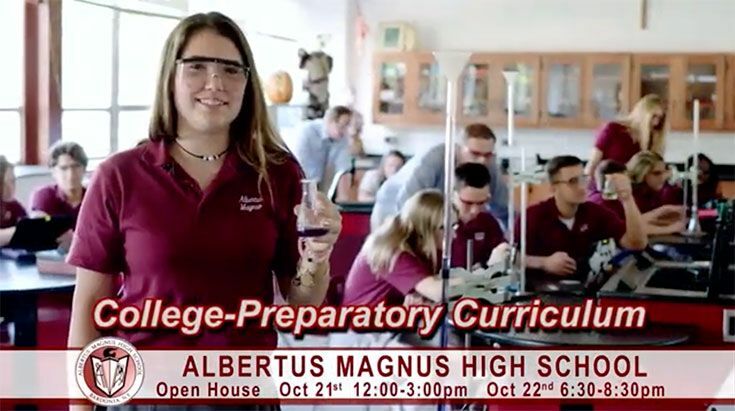 I urge you to come and experience firsthand life and learning at Albertus Magnus High School. Parents and students have an opportunity to meet our teachers and review curriculum, consider our extracurricular activities and speak with Student and Parent Ambassadors at our Open House. Students may also schedule an individual visit during the school year by registering online for Falcon for a Day. Our calendar contains information about upcoming sporting and performing arts events, and we hope you will take advantage of these activities. I look forward to working with you during this exciting time. Please feel free to contact me at npower@albertusmagnus.net if I can be of any assistance. Applicants must apply to Albertus Magnus High through our online application process. Applicants are required to take the HSPT Exam and list Albertus Magnus as one of the three choices when registering to take the exam. Important dates and deadlines regarding the HSPT Exam and admissions process, click on the link below. Students wishing to transfer to Albertus Magnus should complete the online application process by visiting on https://albertusmagnus.myschoolapp.com/app#login/apply and create an account as well as our online application. Complete the Records Release Form for Consideration of Admissions and submit to your current school to have your unofficial transcript forwarded to the Albertus Magnus Admissions Office. Two letters of recommendation are required for transfer students. These letters must be forwarded to the Admissions Office at Albertus Magnus High School. Once we receive the above information, an interview will then be conducted. Complete the online application process by creating an account and completing the online application. Visit https://albertusmagnus.myschoolapp.com/app#login/apply. Complete the Records Release Form for Consideration of Admissions (link available above) and submit to your current school to have your unofficial transcript forwarded to the Admissions Office Albertus Magnus High School. Take the make-up HSPT Exam if he or she did not take the exam in November. Date of exam will be determined by the Admissions office. This is an opportunity for prospective students and their families to find out what makes Albertus Magnus so special. Come for two hours to meet some of our staff and students and get a brief tour. Click here to register.